The membership of the Organisation is open to all irrespective of colour, caste, creed, religion or socio-economic status. (vi) is willing to participate in the activities of Organisation. It is noteworthy that the membership of the organisation is not by any compulsion but is completely voluntary. There is no fee or subscription for membership. The concept of fees or membership subscription is alien to the Sri Sathya Sai Seva Organisations, for there cannot be any fee or subscription for one’s journey towards his own Self. 2. Devotional singing/prayer with members of his family once per week. 3. Participation in the Bal Vikas programmes conducted by the Organisation for children. 4. Attendance at least once per month as group devotional programmes conducted by the Organisation. 5. Participation in community service and other programmes of the Organisation. 7. Putting into practice the principles of “ceiling on desires” and utilise any savings thereby generated for the service of mankind. 8. Speaking softly and lovingly with everyone with whom he comes into contact. 9. Not to indulge in talking ill of others especially in their absence. 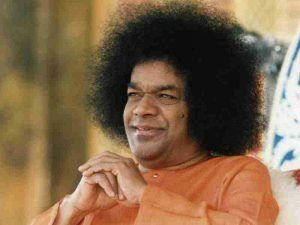 In His discourse at the World Conference on 21 November 1985, Sathya Sai Baba gave the following ten principles to be followed by every member. He directed to follow these directives with enthusiasm and with love and be examples for others, wherever one is. 2. Honour every religion; each is pathway to the one God. 6. Do not tempt other by offering bribes or demean yourself by accepting bribes. 8. Do not depend on other to serve your personal needs; become your own servant, before proceeding to serve others. 9. Adore God. Abhor Sin. 10. Observe the laws, rules and regulations laid down by the State and be ideal citizens.